Chemical Science Satyendra Nath Bose Scholarship Program. Scholarship Program for Indian students. To nurture future innovators and thought leaders, the Science & Engineering Board (SERB), Department of Science and Technology (DST), Govt. of India, the Indo-U.S. Science and Technology Forum (IUSSTF) and WINStep Forward have partnered to develop a dynamic and transformative student exchange program between premier institutions in India and the United States. 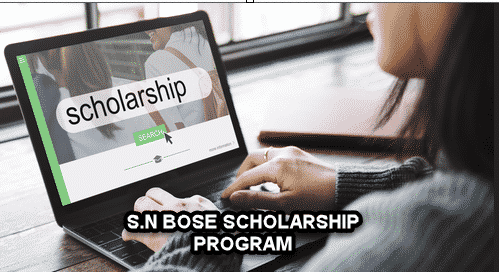 The program is named in honor of Satyendra Nath Bose (1894 – 1974), a visionary Indian physicist best known for his work on quantum mechanics in the early 1920s. The class of particles that obey Bose-Einstein statistics, Bosons, was named after him. Build long-term R&D linkages and collaborations cutting across boundaries around the globe. Eligibility: Indian citizens currently pursuing a Bachelors or Masters’ degree at a recognized institution of higher education and learning in India/ Open to Chemical Science students.